Montenova Dive Resort v Malapascua Island, Filipíny: Zarezervujte nyní! 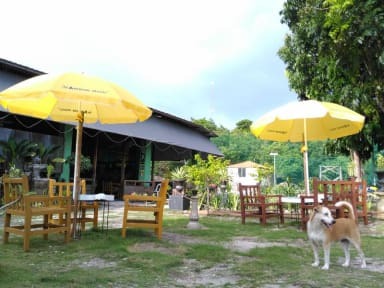 A self-service type boutique resort that offers cheap accommodation to those who travels on a budget. We are on the outskirt of the touristy Bounty Beach and next to a hill. A good 15 minutes walk from the main beach (Bounty or Barrio Beach) to get to Montenova Dive Resort. A quiet and peaceful place away from the bustling side of the island. Please remember there is NO ATM MACHINE on the island. Please take as much cash needed before getting to the island. The resort only accepts cash for now.